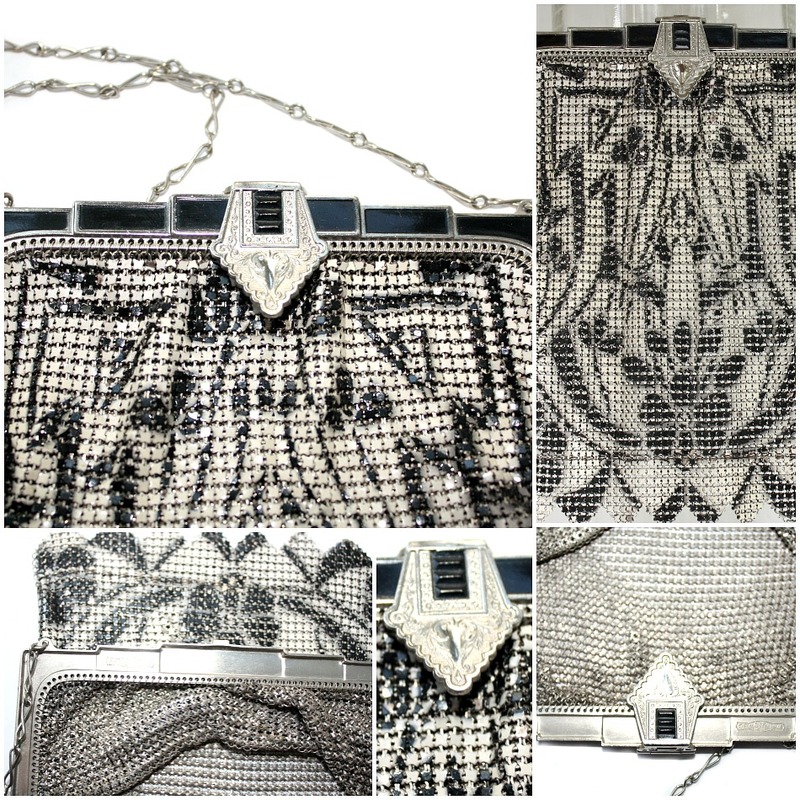 Gorgeous Whiting & Davis Mesh Purse with an iconic art deco floral design, remniscent of the art nouveau movement. 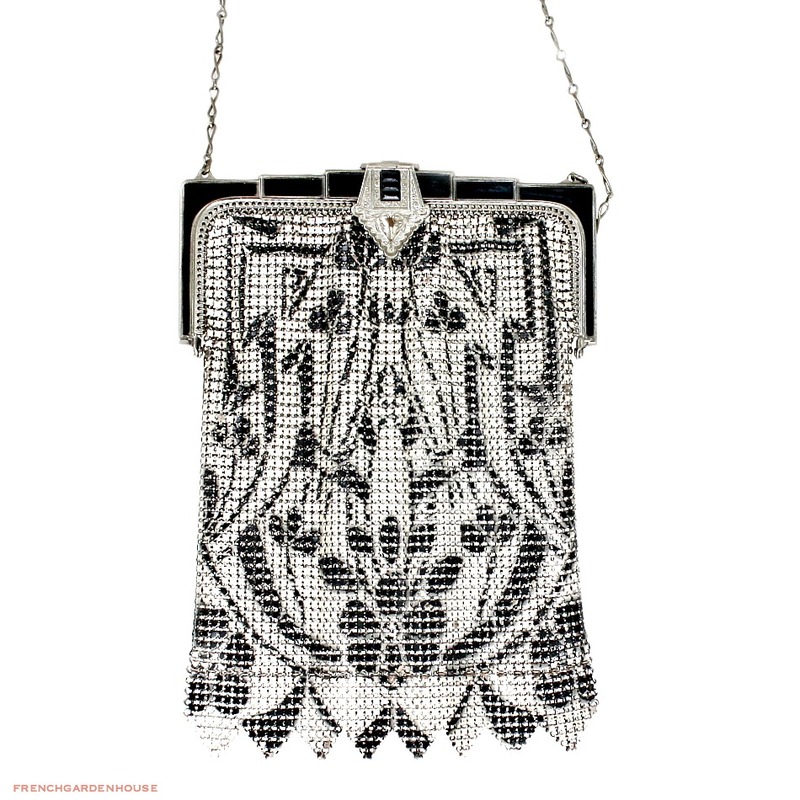 The frame is deco style with decorative black enameling and both sides are identical. Exceptional luxury clasp features black baguette style center surrounded by silver ornamental designs featuring a heart. 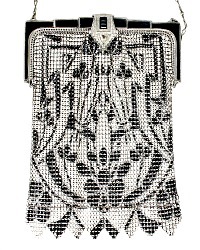 Such a fabulous addition to your flapper bag collection! 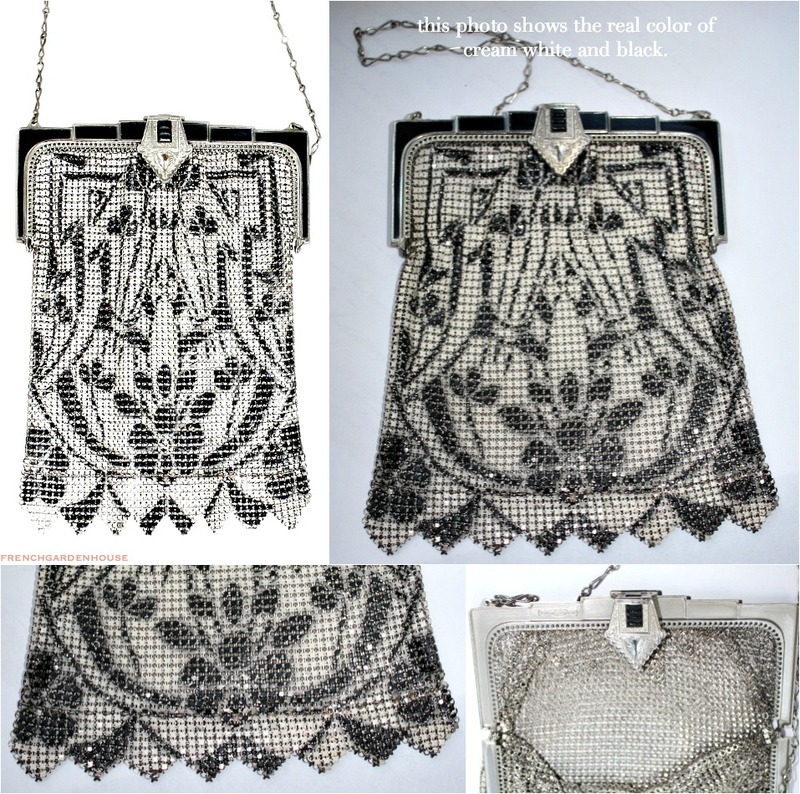 Wonderful to find a collectable vintage bag in this fine quality condition, from a collector. Marked on the inside of frame. Measures 5~3/4" wide x 6~7/87" long from clasp to fringe tip.